Mackmyra distillery is located north of Stockholm on the east coast of Sweden. It was founded in 1999 by a group of friends bemused at the fact that there was no Swedish whisky. In 2011 a second, gravity powered distillery was built and a year later an IWSC EU spirit producer of the year was in their award cabinet. Their main warehouse for maturing their whisky is 50 metres under ground in the old Bodas mine. 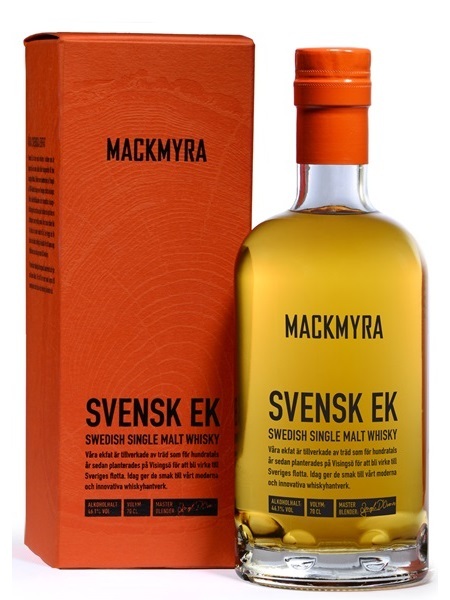 Mackmyra Svensk Ek (Swedish Oak) Single Malt is a revised edition of Mackmyra First Edition, with a much greater proportion matured in virgin Swedish oak along with first fill bourbon barrels and bottled at 46.1% ABV.